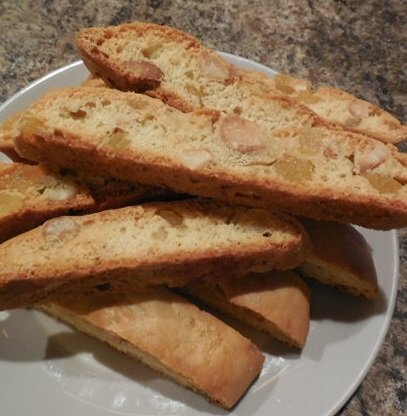 This recipe For New Year biscotti is pretty easy to make and does not require a lot of ingredients. 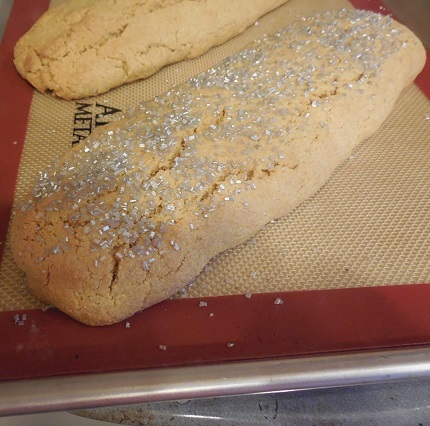 It is the one to try if you have never baked biscotti before. And will add a nice touch to you New Year’s celebration. 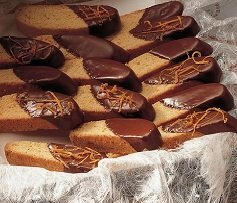 As for taste, these biscotti are mild. The cinnamon and ground clover don’t overpower a glass of fine wine! 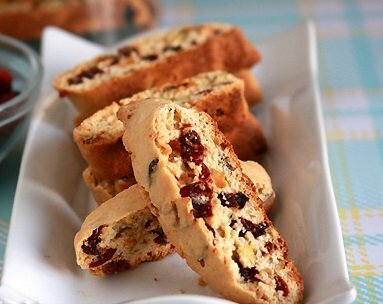 Unlike Italian Biscotti, made with anise, which has a strong black licorice type flavor. Tips for a truly great flavor. The freshnicity of the spice KEY in to success so if yours have and an expiration date that has already been on the calendar the go buy to new and through these out. One of my personal favorites is Penney Spices. I'm a big fan of all of their spices. And their cinnamons are fantastic! 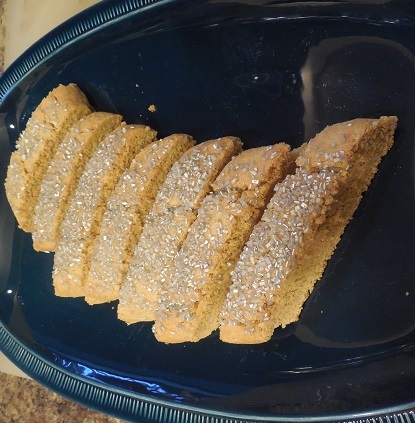 In this Cornmeal Biscotti, ground corn is one of the main ingredients I recommend that you buy only fresh stone ground. You can put it in a spice grinder and grind it to fine mead for the recipe. You will reawaken the fresh corn taste just before making the batter. In large bowl cream the butter, sugar and eggs at high speed bowl. Reduce the speed to low and add the dry ingredients and mix until well combined Cover the bowl with plastic film and place in the refrigerator for 30 minutes. Place logs on prepared baking sheet and flatten the logs to bout ¾ inches. Place into oven and bake for 22- 25 minutes, or until firm. Remove from oven and reduce heat to 325 degrees F.
Cool on cookie sheet for 5 minutes, and then carefully transfer to a wire rack to cool before cutting. After the logs have cooled transfer to a cutting board and cut each loaf into 1/2 inch wide diagonal slices. Place slices back on the cookie sheet, on one side, return to the oven and bake for 9 minutes. Turn cookies over, and bake for 7 to 9 minutes or until golden and crisp. Remove from oven and cool completely, then store in an airtight container (or a fancy biscotti jar). Tip Depending on the humidity the second baking may take longer. You are looking to get your biscotti dried out and crunchy. Don't skip the crunch!